Mr. Teo Ser Luck is one busy individual. I was scheduled for an interview with him during the Tech In Asia conference last week, and was due to speak to him right after his session at the main stage. Over 15 minutes passed, and there was still no sign of him. “I’m so sorry, we’re trying to bring him over now,” said the PR contact person frantically, pointing to her colleague who was in charge of ushering Mr. Teo over to the media centre. Looking over, I found the reason for the delay. At the lounge area, Mr. Teo was surrounded by a small crowd, all holding out their name cards and eagerly pitching their startups (I guessed from the makeup of the event’s attendees) to him. Even from a distance, I could see that he was patiently listening to whatever they had to say to him. When he eventually broke away from the crowd, he gave me a wide smile as he greeted me, in spite of looking visibly exhausted. Expected, for someone whose schedule consists of responsibilities in both the private and public sector. 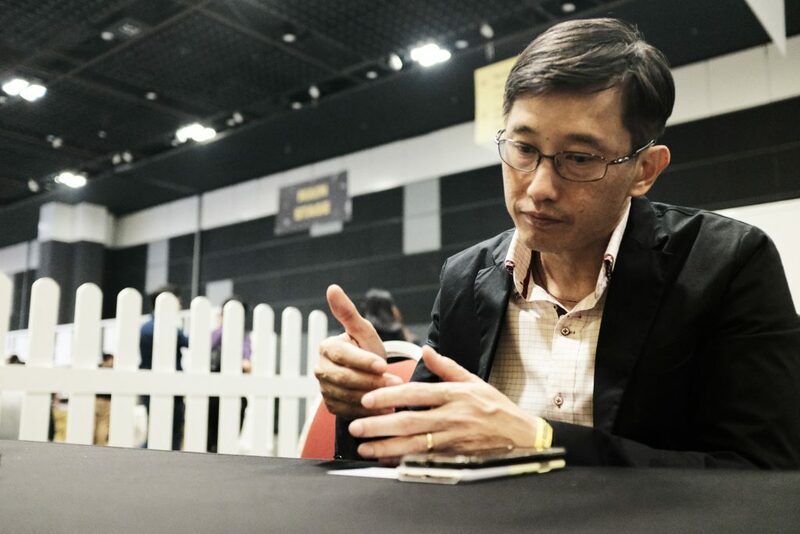 While he stepped down as Minister of State for Manpower and Mayor of North East CDC to pursue his interest in startups last year, what many might not know is that he is still the MP for Pasir Ris-Punggol GRC, and attends regular Meet The People (MPS) sessions. I asked him jokingly if startup founders attend these sessions (usually for residents to air their concerns) to pitch to him, and he laughed, revealing that it is actually a regular occurrence. When he’s not carrying out his MP duties, he’s managing several Singapore startups, having “meetings, meetings, and more meetings”, and travelling up to 3 to 4 days a week “trying to build the ventures” overseas. On his startup journey so far, he shared that “it’s exciting, but it’s tough”. But most of all, Mr. Teo shared that he wanted to build a business “before [he] couldn’t”. Of course, I can be very comfortable and just follow through along the way. But why the rough-and-tumble startup life and not the corporate route, given his private sector experience in MNCs like Nike, Menlo Worldwide, and DHL Express? “Since I was young, [starting up] was something I had in my mind,” he recalled. And from there, when you’re more ready, you do it. And even in politics, there are some things that I do [that are] a little more ‘challenging the status quo’. On the topic of politics, I asked if his former colleagues have been curious about startup life. 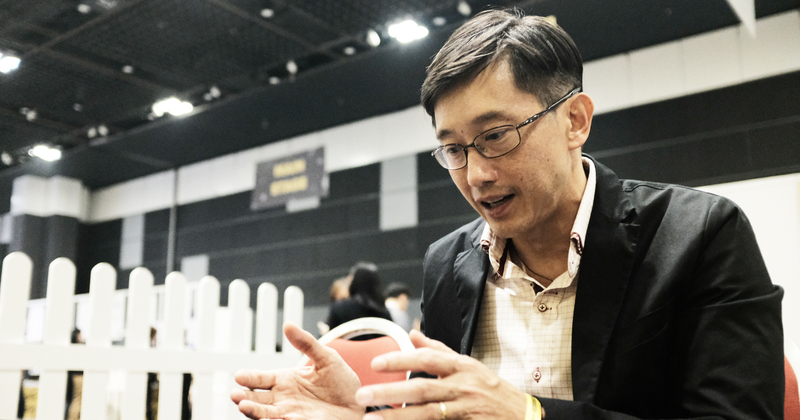 While he declines to reveal the startups that he’s involved in, he readily shared the problems that most startups in Singapore – his included – are facing. I think prudence is one of the issues, and also the way that they spend their money [and if they] spend it wisely. Like many startup founders that we’ve interviewed before, a shortage of talent is also another issue that Mr. Teo brought up. For him, while ideation is not an issue, implementing them successfully is where the problems come in. As for his advice to Singapore startup founders, he remains firm in the belief that a successful business model is the key to success. Don’t focus all your time on fundraising. If you raise funds, it’s just for expansion. But don’t [fundraise] because you are struggling. On his hopes for entrepreneurship in Singapore, he quipped that he hopes to be able to “rattle off new company names that [he] can be proud of every year”. I hope that we can have more companies that are successful, and we don’t have to keep repeating the same company every time for so many years! Ending off the interview, I asked if his two children (aged 16 and 18) had expressed any intentions of starting up. But they probably shouldn’t expect him to finance their venture, though. Raise your own funds – don’t ask me. If it’s a good idea, I’ll invest, haha! I’d like to thank Mr. Teo for his time!